Duke is not just another pizza shop. Home of the largest deliverable pizza in Melbourne, Duke Pizza launched on the top end of Elizabeth Street, in mid September. Melbourne pizza addicts will be seriously satisfied with not just a regular 13” pizza for pickup or delivery, but an all-new 24” pizza (that’s a 64cm box of pizza goodness) for house parties, corporate parties, or you know, just a casual night in. To satisfy the (forever) growing health-not-allergy-fanatics, the menu is also vegan and gluten free friendly. Duke’s dough is hand made with love 48 hours before it hits his diners’ lips, made from sustainably sourced flour and locally made Italian cheeses. Hand stretched and topped with the freshest ingredients to create a pizza that truly loves you. We were thoroughly impressed by the quality of the pizzas we sampled. 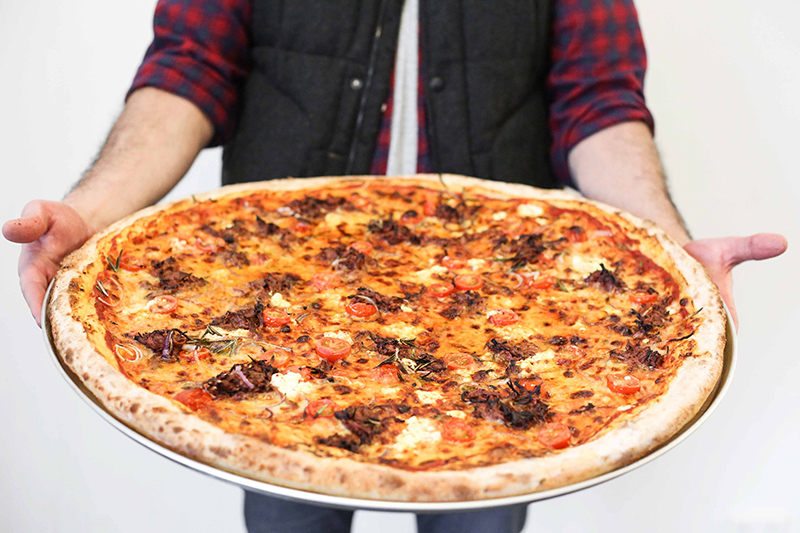 Our top pick is the Finocchio - Think a beautiful pizza base topped with layers of tomato, mozzarella, verdure, pork and fennel sausage, chilli oil, roasted garlic and rosemary. Simply yum! Duke delivers within a 3km radius of 660 Elizabeth Street, including CBD, Docklands, Carlton, Parkville, Collingwood, East Melbourne, Princess Hill, Kensington and North Melbourne. Location: Shop 1, 660 Elizabeth Street, Melbourne.